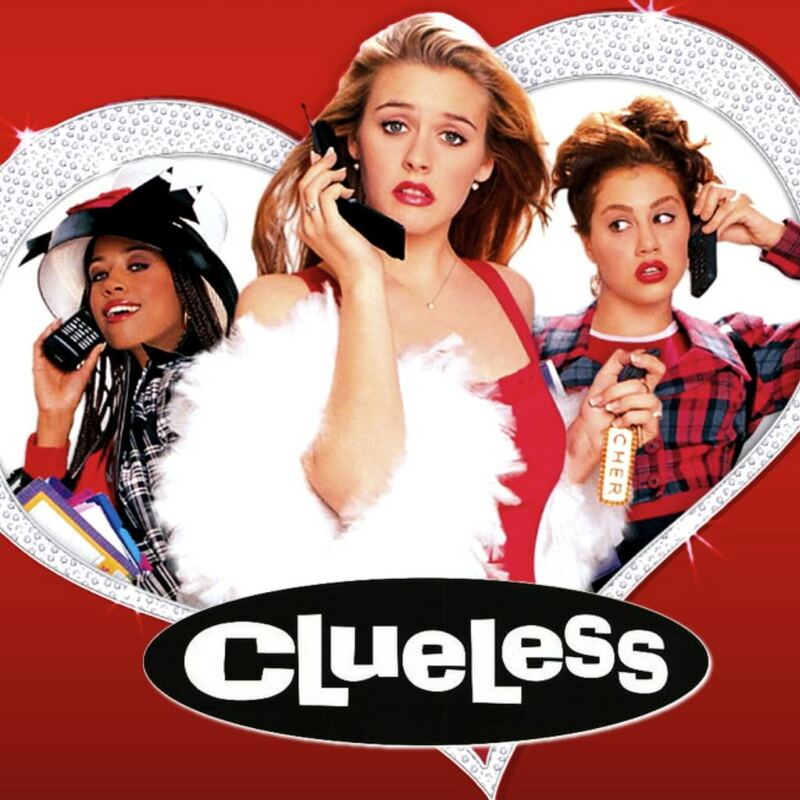 As I was looking through Netflix the other day, I realized that I have never seen Clueless. I know. I was only 7 when it came out so obviously I wasn’t allowed to see it (I don’t even remember hearing about it, honestly, because I was 7) and then by the time I got old enough to where I would have been allowed to see it, nobody really seemed to care about it anymore, and so I just never watched it. Until a few days ago. It was… pretty ok. I chronicled my thoughts while watching it, so here they are! Netflix is describing this movie as “Meddlesome Beverly Hills high school student Cher gets more than she bargained for when she gives a fashion-challenged student a makeover.” So we’ll see how that holds up. Opening title- man those are BRIGHT colors. Like really bright. Is this like a Disney Channel thing where the kids dress crazy on the show but nobody would actually dress that way in real life? Did teenagers actually dress like this in the 90s? That closet outfit picker-outer is totally a real thing now. There is totally an app for that. That’s a really nice kitchen. I would like to have that kitchen. Rich girl wants a jeep? Yeah, sure. Dion reminds me of Gretchen from Mean Girls and so I love her already. MURRAY! It’s Turk!! Where is JD? He should be there. “Ugh as if!” Ha, that’s so 90s. Ok now the Iggy music video is making a lot more sense. Aww she talks to the picture of her mom. That’s kinda sweet. Where’s Brittany Murphy? When is she showing up? CHER LOOK AT THE ROAD WHILE DRIVING! Who is this guy sitting by Cher in class that keeps kissing her on the cheek? What’s your game, friend? Cher just reached out the window, grabbed a lemon off a tree, and started cutting it. That’s amazing. Oh there’s Brittany Murphy. And there’s the movie title! What a great moment. Makeover! I kind of expected that to last longer. Oh Turk has braces. That’s precious. They’re looking at maps in the car. This movie would be so different if they had smartphones. Oh Cher is doing drugs now. That was unexpected. Turk is shaving his head! About time. That’s the Turk I know and love. Wearing a headband and pushing it back toward the front to puff up the front hair a little bit- I totally did that. Christian is definitely going for a rat pack vibe. Is that on purpose? OK yes that is on purpose. DEE WATCH THE ROAD WHEN DRIVING!!! If a band of motorcycles was driving around me I would be freaking out, too. Ok Cher says “Clueless” a lot during her inner monologues. I don’t think she needs to say it that much. CHER THAT WAS YOUR STEP BROTHER! YOU CAN NOT LIKE HIM! WEIRD! Who doesn’t know who Pippi Longstocking is? Why is that lawyer dude getting so mad at Cher? She is 16, why is she even helping with that legal stuff anyway? Also real quick- she was 15 when the movie started. And then she took her driver’s test, which means she must have turned 16 during the movie… Why didn’t she have a major super sweet 16 party? That would have been epic. Oooh they are crossing their legs toward each other- body language! PAUL RUDD! Kiss her, already!!!!!! Kiss her again! (They are still step-siblings…. ok I feel weird about all of this still). Why did that lady throw the bouquet while facing the girls? That’s not how you do it. And now we’re back to the extremely bright credits. The end. So there you have it. I have definitely seen worse movies in my lifetime, but I don’t feel like my life is enriched from this movie-watching experience. It was nice to have a relaxing afternoon on the couch, though, so I really liked that part of it!